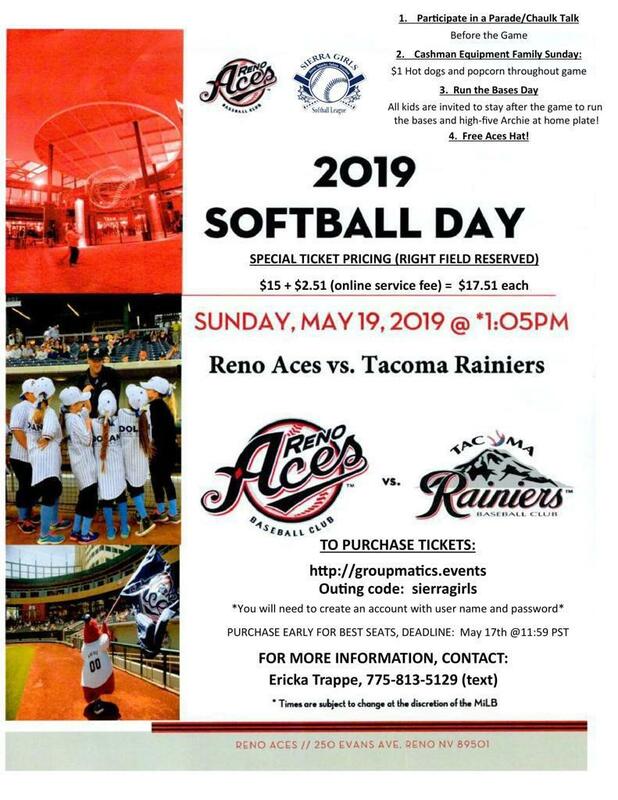 May 19th the Reno Aces will be hosting Softball day at Greater Nevada Field vs the Tacoma Rainiers. The Aces will donate $3 for every ticket purchased to Sierra Girls Softball. Tickets must be purchased at groupmatics.events/event/Sierragirls. All players and coaches in attendance will get to participate in the pregame parade. If you have questions please text or call Ericka Trappe 775-813-5129.